During the last decades, the Austrian industry could gain importance, which is contrarious to the European trend. In meantime, Austria has the fourth highest degree of industrialization in the EU. Insecurity and a lack in foreign demand will cause a massive slowdown of the Austrian economy in 2012. Consumers and companies become more cautious. Austrian goods exports rose significantly since 1995. According to a study of the Austrian Central Bank (OeNB), this is mainly due to a higher degree of competitiveness. The world trade will increase only by 73%, states the report of HSBC Trade Connections. The document presents forecasts for the international trade in the perspective of several years. January to July 2011: import trade volume of € 75bn, export trade volume of € 71bn. The global foreign trade deficit increased from € 1.86bn to € 3.89bn. The first half of 2011 brought double-digit growth rates in all product categories. Exports to Hungary increased by 43%, making it the number three buyer country. The Austrian subsidiary chain of the German Rewe group still faces losses. By 2012, Adeg should leave the red zone. 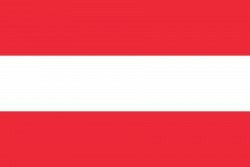 Austrian exports record satisfying results in the first six months of 2011. Austria´s trade balance shows a plus of € 4.4bn. According to a study of Statistics Austria, the number of foreign subsidiaries even grew in 2009 by 6%. The number of Austrian subsidiaries owned by foreign corporations grew slightly. Stimulation of trade in August 2011 - turnover in Austrian retail trade increased by 4.0%. Total revenue of the sector grew by only 1.9% in 2010. The market is ruled by retail chains which own 98% of total selling space. According to the Austrian Chamber of Commerce in Istanbul, Austrian companies could benefit strongly from the persisting economic boom in Turkey. Adjusted for inflation, revenue of the Austrian retail companies declined by 4.6% compared to the previous year. From April to June, Austrian GDP grew by 1% compared to the first three months of 2011 while the euro zone average was only 0.2%. Austrian imports and exports both increased by more than 20% in the period from January to May 2011. The global foreign trade balance showed a deficit of € 2.59bn. Sales volume of food retail trade was up 0.3% in the first half of the year while the non-food sector registered a decline by 0.8%. After weak first six months, the Austrian retail sector hopes for increasing demand in the second half of 2011. Weak development of incomes reduces consumers’ willingness to spend. Foreign demand for fruits, vegetables and other products from Austria is growing. 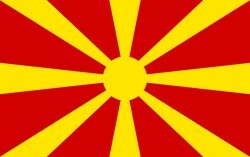 Exports went up 21% and amounted to € 2.18bn in the first quarter of 2011. Austria’s retail industry starts to feel the effects of a high inflation rate and the euro crisis. 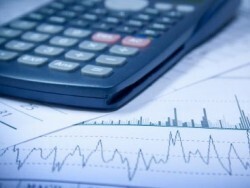 In May, revenues declined by 2.3%. 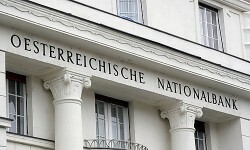 The Austrian current account showed a surplus of € 3.8bn in the first quarter of 2011. The total amount of Austrian FDI was higher than in the full year 2010. In the first three months of the year, Austrian enterprises exported machinery and metalware for € 6.04bn. Germany is the main trading partner of the industry. Austrian imports and exports increased by one fifth in the period from January to April 2011. 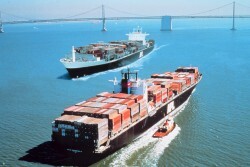 The global foreign trade balance showed a deficit of € 2.08bn. Austrian imports and exports recovered strongly and increased by more than 16% in the year 2010. The trade balance deficit amounted to € 4.28bn. The current dispute is about the right to open shops on certain lucrative Sundays. 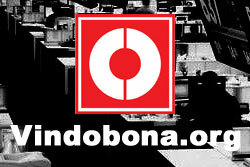 The operator of a shopping center has brought in an action at the Constitutional Court. Austrian imports and exports increased by 22% in the first three month of the year. In March, trade volume amounted to more than € 11bn in both directions. New highs of Austrian exports are expected in 2011 and 2012. The growth rate was 24.2% in the first two months of the year. 18 top Austrian companies active in the areas of environmental technology and renewable energies are present in Bucharest. 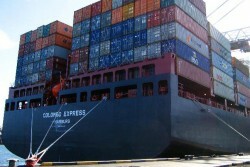 January to February 2011: Austrian imports increased by 26%, exports rose by 24%. Austria's current account achieved a surplus of € 7.8bn or 2.7% of the GDP in 2010. The domestic economy was thereby able to prove its high competitiveness. Austria's financial transactions with foreign countries continue to be influenced by the aftermath of the crisis: investment in foreign securities has increased only slightly (€ 6.4 bn). Leitl: "Austria was the Largest Investor in Turkey in 2010"
WKÖ President Leitl pointed to the intense economic links between the two countries during the state visit of Turkish President Abdullah Gül to Austria. 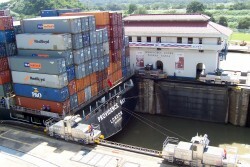 Exports are expected to return to a normal level only by 2012. Renewable energy technologies could be particularly important. 2009/10: Good supply with food and animal feed of crops - 7.6% of foreign trade volume is made by agricultural products. Production of wine and cereals decreases, oil seeds, fruits and vegetables rises. According to the Ministry for the Environment, the area of domestic soybean planting and the harvest have increased by one third in 2010. Nevada is diversifying towards renewable energies: huge opportunities for Austrian companies are expected. The Vienna Institute for International Economic Studies (wiiw) has just published a study, which quantifies trade-related transmission mechanisms of the global drop in investment demand and output to recession in Austria. Texas imports goods for US$ 614m from Austria. There are prospects for growth in wind and solar energy above all other areas. WKÖ on Mongolia: "A Country with Development Potential"
The Austrian Economic Chamber sees a huge trade and investment potential for the domestic economy in the sparsely populated country. 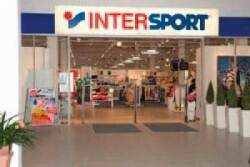 Sales of Intersport Austria-group grew by 7.4% to € 667.7m (2008/2009: € 622m) in the financial year 2009/2010.